Skin irritation refers to any type of discomfort in the skin, such as itching or burning. Irritation usually develops in response to an external trigger, such as extreme temperatures or sensitivities to a particular soap or detergent. In people with sensitive skin, the ingredients in some soaps can lead to irritation by causing dryness or allergic reactions. Understanding the connection between soap and skin irritation allows you to identify the cause and find the most effective solution. Soap comes in many forms, including bath gel, alcohol-based hand sanitizer, bar soap and hand soap. Laundry detergent is another type of soap that can trigger skin problems like itching and rash. Most soaps contain a combination of ingredients like lye and oil, as well as a variety of perfumes and coloring agents—all of which can provoke irritation in sensitive individuals. There are many reasons for skin irritation; soap is only one of the possibilities. Excessive heat or cold, dry winds, skin allergies and certain medications can all aggravate sensitive skin and cause irritation. Soap causes irritation primarily by drying the skin. Individual ingredients can also trigger irritation by causing rash and itching in those with skin allergies or sensitive skin. Because alcohol is drying, alcohol-based hand sanitizers are often implicated as a major cause of irritation, though this is not always the case. 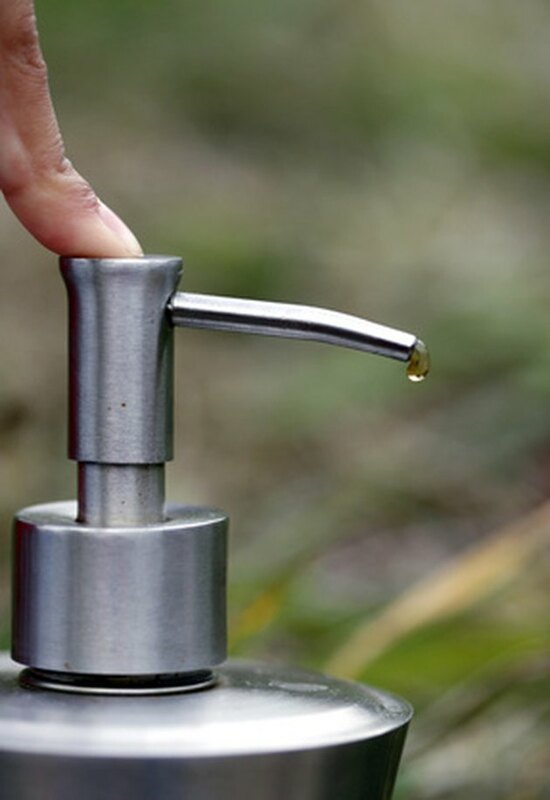 According to the National Institutes of Health, washing hands with soap is more likely to cause irritation than using alcohol-based hand sanitizers. Skin irritation is often accompanied by other symptoms, some of which can help pinpoint the underlying cause. The presence of redness and rash are common and may signal an allergy or hypersensitivity reaction to ingredients in soap or other products. Itching and burning often occur together and can be aggravated by scratching. Soap-induced irritation may stem from excessive drying of the skin or sensitivity to specific ingredients like perfumes or colorants, both of which may result in itching and discomfort. The best treatment for soap-induced skin irritation is discontinuing use of the offending product. If hand-washing is to blame, apply moisturizing lotion after each wash to help relieve dryness, when rash is not present. According to the New York Times, washing hands in lukewarm water and patting dry afterward is the best way to avoid irritation in those who wash their hands frequently. Gentle cleansers that contain moisturizers like palm kernel oil and coconut oil can help prevent irritation caused by excessive dryness. Avoiding products that contain astringents like alcohol and witch hazel may be helpful if peeling or dryness are present. In some cases, it may be necessary to switch laundry detergents if irritation persists. Because skin irritation can stem from a variety of causes, trial and error are often necessary to find the underlying cause. Severe or persistent skin irritation may signal a more serious condition. If you experience irritation accompanied by hives, swelling or bruising, seek prompt medical attention.